STEP FIVE: What Professional Help Should You Rely On? Because purchasing a home is probably the biggest investment you will ever make, you'll definitely want a team of professionals working with you throughout the process. Help you find the ideal home. Write an Offer of Purchase. Negotiate on your behalf to help you get the best possible deal. Provide you with important information about the community, arrange and coordinate the home inspection and essentially save you time, trouble and money. If you haven't already gone through the mortgage pre-qualification process, you will need to find a good lender to assist you during the purchasing process and for as long as you have your mortgage. Some people find it helpful to use a mortgage broker. Mortgage brokers don't work for any specific lending institution. Their role is to find the lender with the terms and rates that will best suit the buyer. Get a referral from your your Realtor, family members, friends or other professionals. Look in the Yellow Pages under Banks, Credit Unions or Trust Companies for a lender and under Mortgage Brokers for a broker. You need a lawyer to protect your legal interests such as ensuring the property you are thinking of buying does not have any building or statutory liens or charges or work or clean-up orders associated with it. He or she will review all contracts before you sign them, especially the Offer (or Agreement) to Purchase. Having a lawyer/notary involved in the process will give you peace of mind and ensure that things go as smoothly as possible. Law associations can refer lawyers/notaries who specialize in real estate law. Should be a licensed full-time lawyer/notary. Should be local and understand real estate laws, regulations and restrictions. Should have realistic and acceptable fees. You should consider having any home you are thinking of buying inspected by a knowledgeable and professional inspector. Home inspector fees are generally $200 and more, depending on the size and condition of the home. 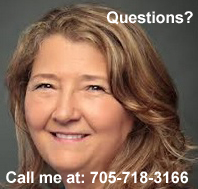 An insurance broker can help you with your insurance needs, including property insurance and mortgage life insurance. Lenders insist on property insurance because your property is their security for your loan. Property insurance covers the replacement cost of your home, so premiums may vary depending on its value. Your lender may also suggest that you buy mortgage life insurance. Mortgage life insurance provides coverage for your family should you die before your mortgage is paid off. This type of insurance is often available through your lender, who then simply adds the premium to your regular mortgage payments. However, you may want to compare rates between both an insurance broker and your lender. Be careful not to confuse property or life insurance with mortgage loan insurance, which may be required for high-ratio mortgages. Refer to Step 7 for more details. Having an independent appraisal done on a property before you make an offer is a good idea. It will tell you what the property is worth and help ensure that you are not paying too much. Your lender can also ask for a recognized appraisal in order to complete a mortgage loan. The appraisal should include an unbiased assessment of the property's physical and functional characteristics, an analysis of recent comparable sales and an assessment of current market conditions affecting the property. Appraisal fees may vary but you should not pay more than $250 – $350 in most areas for a typical single-family house. Your real estate agent may be able to refer an appropriate professional. If the seller does not have a Survey or Certificate of Location, you will probably need to get one for your mortgage application. If the Survey in the seller's possession is older than five years, it will probably need to be updated. Remember that you must have permission from the property owner before hiring a surveyor to go onto the property. Ask your real estate agent to help co-ordinate this with the owner. Ask for references and talk to other customers about the builder's performance. Check with the New Home Warranty program in the area. Ask builders or contractors if they are members of a local homebuilders' association or ask for a provincial license number. You may want to hire an architect. Builders of custom homes usually work on either a fixed-price or a cost-plus basis. Authorize any changes to your contract by writing your name or initials beside the change.On a final note, make sure your contract is as specific as possible about construction details, right down to the brand name or model number of any finishes. Make sure that you initial any changes to your contract. Step six in the process of buying a home. Return to 10 Steps to buying a home page.